Dáil told that confusion still reigns over the green card drivers need post-Brexit. TRANSPORT MINISTER SHANE Ross has said his department has asked the European Commission to set a date for when motorists travelling to Northern Ireland will not need a green card. He said the government is currently in talks with the EC about reaching an arrangement on the cards, stating that this is not something Ireland wants to be in place. Last month, green card forms and electronic application templates have been issued to insurance providers by the Motor Insurers’ Bureau of Ireland (MIBI) in preparation for a potential no-deal Brexit. The MIBI has advised motorists who plan on driving in Northern Ireland and the UK immediately after 29 March to begin applying for their green cards in case a no-deal scenario materialises. Taoiseach Leo Varadkar confirmed today that those based in the North but travelling by car over the border to the south will not need a green card. He told the Dáil that understands that there are concerns around the issue of green cards, adding that the vast majority of those with motor insurance will be covered if they driving over the border. However, he added that drivers will need to prove they have insurance in the form of a green card. Speaking about drivers from the North who are travelling to the south, he clarified there will be a “grace period” in effect post-Brexit. Transport Minister Shane Ross, stated “this is not something that the government wants to see, rather it is another consequence of a decision by the UK people”. “As part of its contingency planning, the Government has raised this matter directly with the European Commission seeking agreement from it to set a date from which green cards would not be required as is possible under the EU’s Motor Insurance Directive. “The Commission has not given agreement to date and the Government continues to pursue the matter with it,” said Ross. Ross went on to say that the preparation by MIBI and insurers is an example of ‘prudent advance planning “in preparing for a possible no-deal Brexit”. The department has requested, and continues to do so, that the EU Commission set a date where green cards would not be required, he said. Sinn Féin’s Pearse Doherty today called on the Taoiseach to directly intervene in the situation, accusing Transport Minister Shane Ross of being “asleep at the wheel” in relation to drivers needing green cards to travel over the border after Brexit. 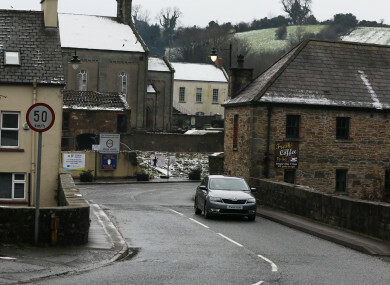 Doherty said confusions continue to reign as people are unaware of the consequences of not applying for the card, stating that people are concerned about their insurance not being recognised in the North, and cars being impounded if stopped. The Donegal deputy questioned how the transport minister allowed the situation to get where it is today just a couple of weeks away from 29 March. He added that some countries outside of the EU, have arrangements in place where such green cards are not required. Doherty asked why such a deal wasn’t already in place for Northern Ireland, stating that due diligence on the issue should have been done months ago, and not left to the last minute. Varadkar said the government is continuing in its work in a bid to get an arrangement bilaterally between the EU and the UK, but that has yet to be agreed. Fianna Fáil’s Lisa Chambers said the government needs to provide assurances to people as to what might happen and what drivers need after the drive over the border post 29 March. Ross “needs to get his act together,” said Chambers, who said the transport minister should be less concerned about the passage of his judicial appointments Bill and more concerned with the “bread and butter” work of his own department. Speaking about whether her party had been briefed about what will happen to the border if there is a no-deal scenario, Chambers said the government have been far from transparent on the issue. Chambers said the Tánaiste has said the government is not planning for a hard border, adding that the most Simon Coveney has stretched to is suggesting the border would be somewhere in the sea. “He really hasn’t provided more detail than that,” she added. The “best insight” given by government on the border issue was when a private conversation was recorded between Ross and Coveney at a press briefing. The Tánaiste was recorded as telling the transport minister “we don’t want to be the government that introduce a border on this island” and Ross replied, “well, I just didn’t know what to say”. She said that suggests there is a “Cabinet within the Cabinet” where not all ministers are being briefed on the contingency plans for the border. However, she said it is not credible to suggest that the Tánaiste and the Taosieach have not had the conversation about what would happen in a no-deal scenario, though she doubts there are any discoverable notes written down on paper. Email “Department asks Europe to set a date for when motorists travelling to Northern Ireland will not need green cards”. Feedback on “Department asks Europe to set a date for when motorists travelling to Northern Ireland will not need green cards”.